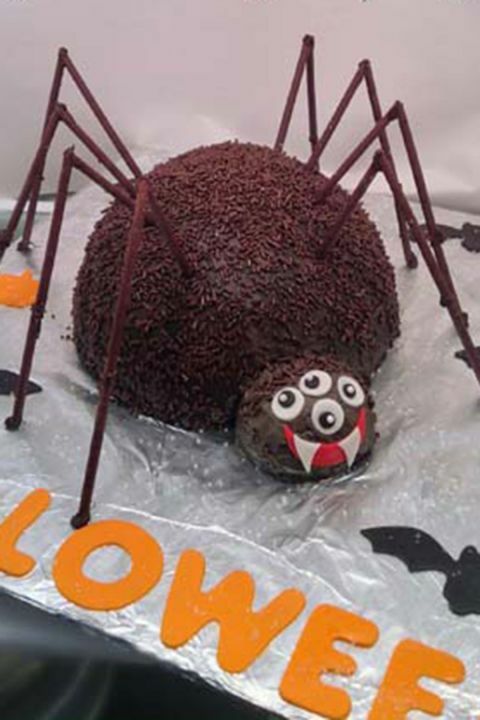 One way to incorporate the spider and arachnid theme into your Halloween baking is to make some easy chocolate web toppers which you can use on the top of your cakes as edible decorations.... To summarize, you baked the cupcakes, made the glossy icing and created a sweet spider with legs and eyes. As a result, you have some amazing Oreo spider cupcakes and you are ready for the party. As a result, you have some amazing Oreo spider cupcakes and you are ready for the party. 3/08/2018 · Oreo spider cupcakes. Make your Halloween creepy with these Oreo spider cupcakes. 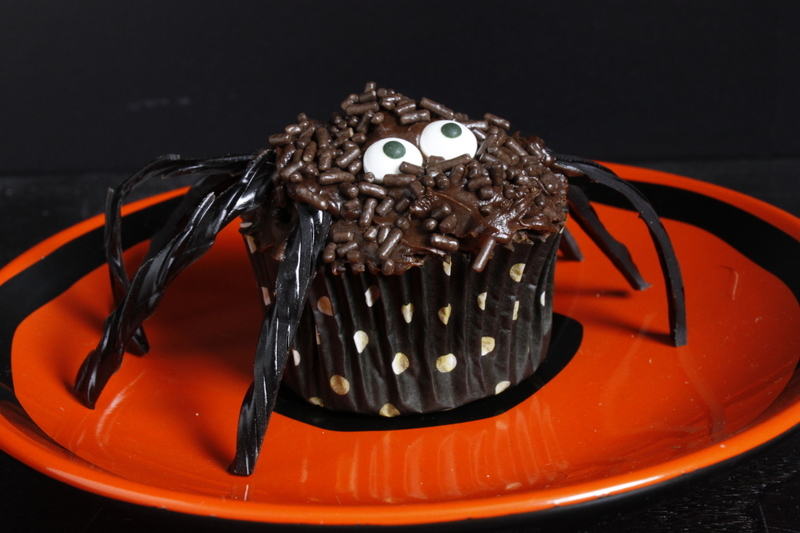 Get the kids to help with the decorating and make a big batch of spider cupcakes …... Spider Licorice Cupcakes. Use ingredients you already have to make these simple cupcakes. Licorice rope makes the legs and a chocolate button or cookie can form the body. Your kids will go crazy for these creepy Halloween spider cupcakes! They’re easy to make, adorable, and delicious, so serve up a batch at your party no matter how old your party guests are.... To make this wicked candy witch, use a green gumdrop for a face, a piece of red gumdrop and a white sprinkle for the mouth, licorice for her hair and hat brim, and a black gumdrop molded into a triangle for the pointy witch's hat. Add two black sprinkles for the eyes, and a green mint for a nose. Fondant spiders are easy to make and can be used to decorate cakes, cupcakes, and cookies. You can add them to the top of brownie or chocolate covered oreo.... Halloween Recipes *Get more RECIPES from Raining Hot Coupons here* *Pin it* by clicking the PIN button on the image above! Repin It Here These Oreo Spider cupcakes not only have a spider Oreo on the top but they are also stuffed with an Oreo cookie. 3/09/2013 · Disclaimer- All recipes and/or projects on this website have been tested for our own individual use and/or consumption and are being provided to our readers as an idea for them to try. Impress all your family and friends with these spooky and delicious cupcakes! These vegan spider cupcakes for Halloween are easy to make, tasty and kid-friendly!